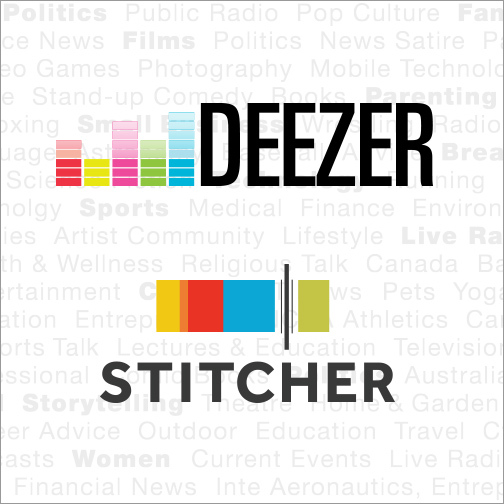 OCTOBER 24, 2014 – SAN FRANCISCO – Deezer, the premier global digital music streaming service, today announced it is acquiring Stitcher, the leading provider of personalized Internet talk radio and award winning mobile products. The acquisition allows Deezer to become a truly global on-demand audio provider, offering consumers over 35 million music tracks and 35,000 radio shows and podcasts. Stitcher currently carries eight out of the top ten terrestrial radio shows and features content from over 12,000 content providers, including NPR, BBC, Fox News, Wall Street Journal, This American Life, Marc Maron, CBS Radio News and others. Deezer will further expand its distribution into the automotive entertainment market where Stitcher is already enabled in more than 50 models, including BMW, Ford, General Motors, Jaguar and Mazda vehicles and was an Apple CarPlay and Android Auto launch partner. Deezer will continue to support Stitcher’s award winning mobile products, where Stitcher has the number one rated podcast app on Android and the second most popular app on iOS behind iTunes. Deezer is the first truly worldwide digital music streaming service in over 180 countries, with 16 million monthly active users and 5 million paid subscribers worldwide. Deezer is at the forefront of a music revolution, allowing fans instant access to the largest music catalogue in the world, with more than 35 million songs and 30,000+ radio channels on any device. Combining the best of man and machine, Deezer’s global editorial team searches for the best music around the world and its algorithmic recommendations help fans discover music they will truly love. Deezer is available on your favorite device, including smartphone, tablet, PC, laptop, home sound system, connected car or smart TV. Launched in 2007, Deezer is a privately-held company, headquartered in Paris with offices in San Francisco and around the world. Deezer is currently available as a free download for iPhone, iPad, Android and Windows devices or on the web at deezer.com globally outside the US.